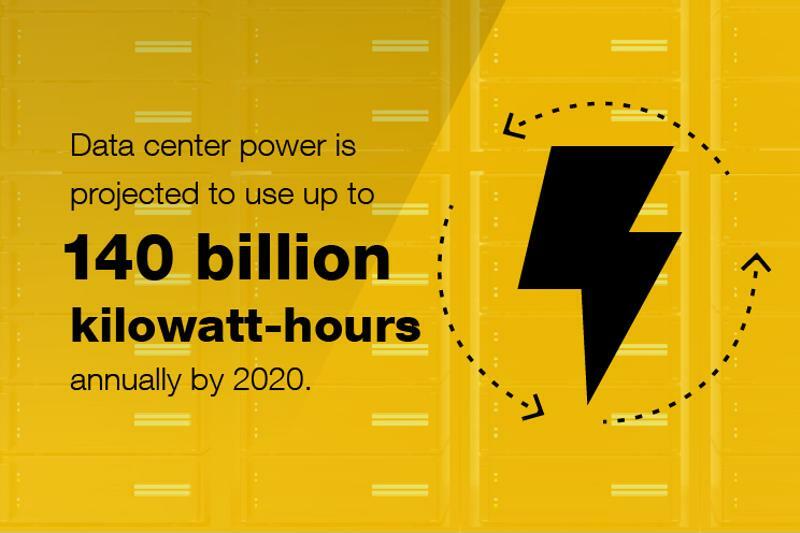 Data center power management is one of the most involved disciplines associated with today's dynamic data center facilities. Power must be supplied and distributed reliably, efficiently, redundantly and precisely to ensure that mission-critical equipment maintains uptime and that operating expenses are contained. The only way to verify that all of this actually happens is to intelligently and thoughtfully monitor power distribution and consumption throughout the entire facility. How else can you confirm that your data center is running reliably and efficiently? In other words, knowing is the whole battle. Take the example of data center efficiency. According to the Natural Resource Defense Council, American businesses will pay $13 billion annually in electricity bills just to power data centers by 2020. That's only three years away. "Monitor power metrics at the PDU level to optimize performance per watt." These high costs will be driven by the growing demand placed on data centers, which in turn, is fueled by the generation of more data. Every day, several quintillion bytes of new data are created. A significant portion of that data lives in, and is processed by, the data center. As a result, data center managers are under pressure to find new ways to lower costs. This requires a more granular assessment of how power is being distributed, and specifically, how much energy individual pieces of equipment use. Managers must then assess the amount of what Green Grid calls, "useful work" that each piece of equipment is responsible for executing. This goes for cooling and other overhead costs associated with PUE; however, it should also apply to IT equipment as a whole, including the identification and evaluation of zombie servers (where are comatose servers, and what are the risks associated with taking them offline?). To achieve this level of detailed analysis, you must put your power consumption under a microscope. This means monitoring electrical current, voltage and other crucial power metrics at the power distribution unit (PDU) level, to understand how every watt is being used in your facility, and to what performance end. Facility intelligence is crucial to data center efficiency. Optimizing the amount of performance you get out of each watt of energy can significantly curb costs while keeping reliability at the forefront of all infrastructure management endeavors. However, this is much easier said than done in a high-density facility. Gathering the necessary intelligence at the PDU level requires a consistent, redundant flow of data from intelligent PDUs to network switches. Historically, this has meant that each PDU must have cabling that connects it to a network switch. In a properly designed, redundant setup, each high-density rack will contain two PDUs (for A/B supply feeds). Clearly, that introduces a lot of redundant cabling to ensure power metrics will continue to be transmitted even if one in a series of daisy-chained PDUs fails, and regardless of the supply feed distributing the power. Fortunately, though, as the need for an unceasing flow of power intelligence has increased, so has the ability to ensure redundant network connectivity between PDUs and switches. Specifically, Rapid Tree Spanning Protocol (RSTP) has solved this problem by allowing a series of daisy-chained PDUs to have only two connections to a switch: one at the beginning, and one at the end of the chain. This is because RSTP, unlike other protocols, is not susceptible to loops, or broadcast storms, meaning that more PDUs can transmit data with fewer switches, and with fewer connections to those switches. In a high-density facility, this footprint efficiency is crucial to making the most of existing space. Remember, knowledge is power. If you want redundant power, you also need redundant intelligence.